Rose golden stainless steel and white silicone. 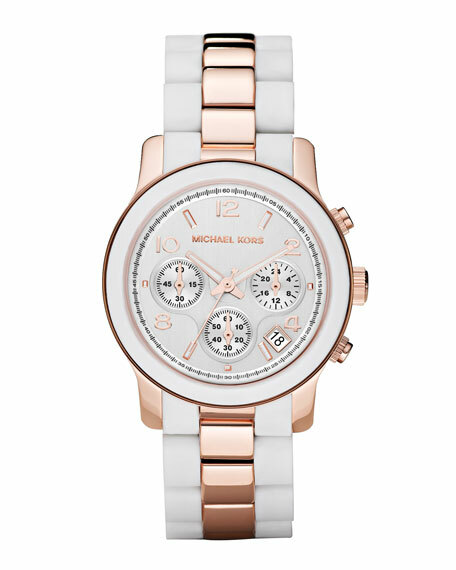 Light silver dial with rose golden time stops and accents. White silicone-wrapped bracelet with rose golden center link and deployant buckle.